ChainLink Consultancy is a business coaching company with decades of experience in international project management. They have worked with blue chip clients from family photographic businesses to multi-billion, international, financial service companies. 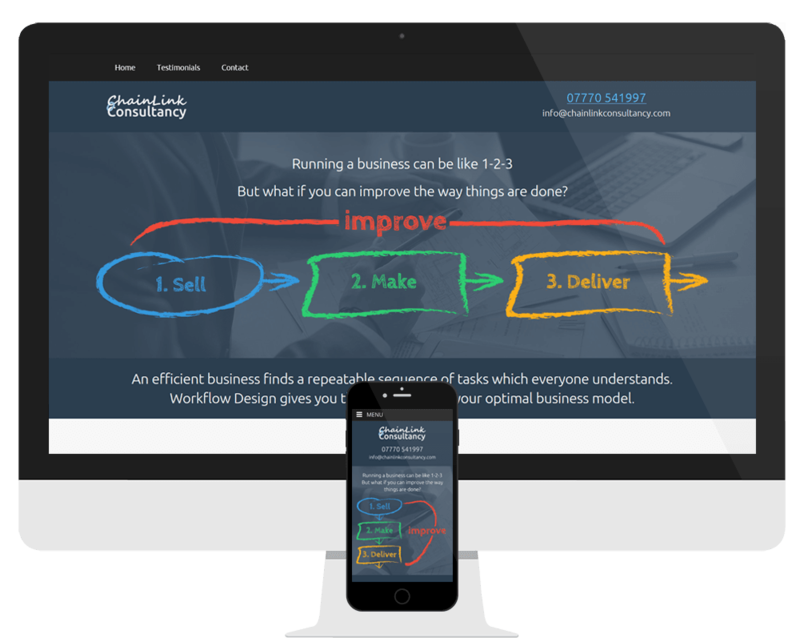 ChainLink specialise in workflow design, business streamlining and efficiency gains and work with client in both the UK and the Netherlands. ChainLink Consultancy, managed by Steven Gear-Evans, were keen to develop a web presence which they would be able to grow and expand over time. The project brief requested the development of a simple, graphical, representation of what they do, to speedily inform potential clients of the theory and benefits of workflow implementation. Working in partnership with the client, an animated banner was created which quickly delivers the intended message without resorting to too many technicalities. The branding and logo design, developed by us, was carried over into both a business card and a Facebook page.